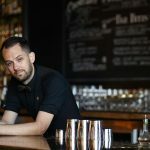 Being the Head Bartender of PDT, one of the world’s most acclaimed bars – and current Best American Bartender winner from the Spirited Awards at Tales of the Cocktail 2017 – must come with a great deal of pressure and stress. However, Jeff Bell is one of the coolest bartenders in the game and truly one of the most affable fellows. 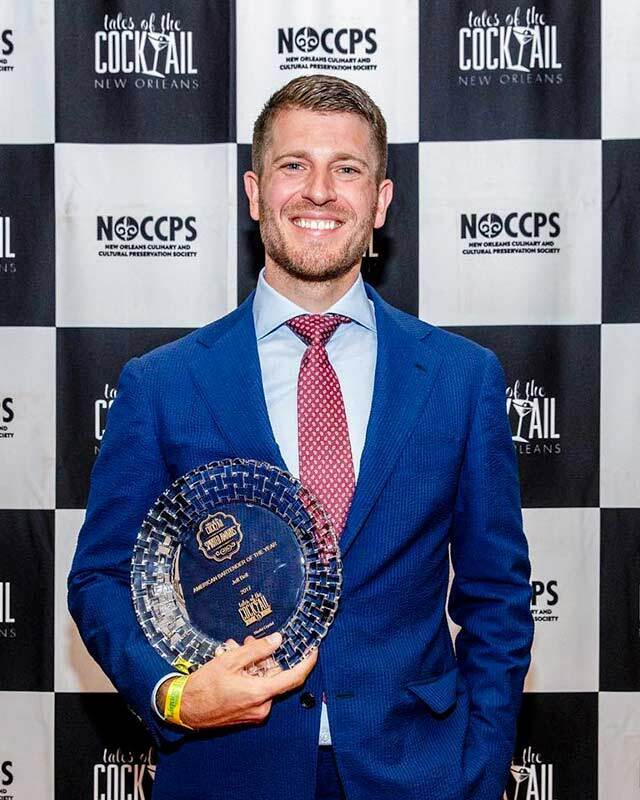 Continuing on the award tour, Bell was named a 2013 StarChefs Rising Star Bartender and came in 1st place in the U.S. and 2nd for the Global DIAGEO World Class Bartender Competition 2013; kinda a big deal! Although he is a tabloid caliber celebrity in the bartending world, Bell is a family man first and foremost. 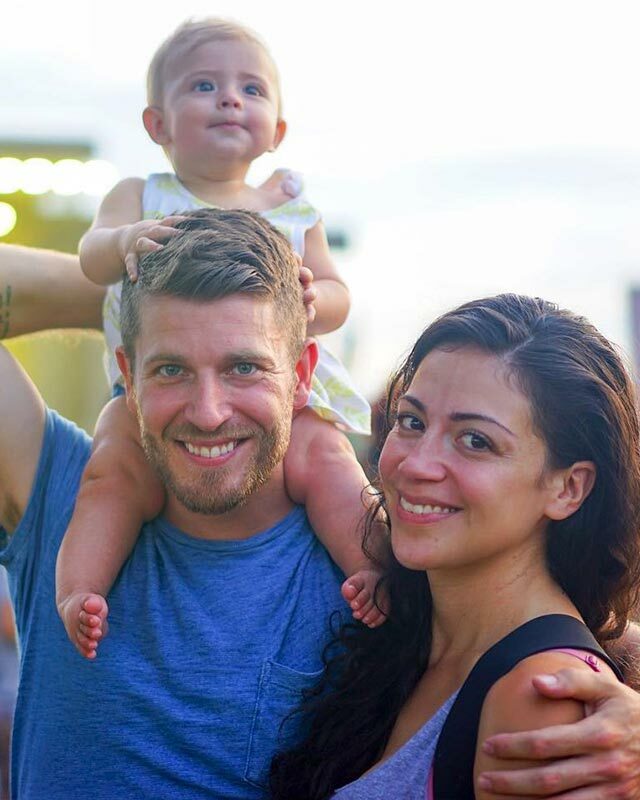 You can find him and his beautifully cool lady, Auriela Nossa (The 86 Co.) and their adorable daughter, Delilah, globetrotting the world or just hanging around NYC doing normal things that prove celebrities are just like us. My first restaurant job was washing dishes as a college freshman back in Washington State. I worked my way out of the dish pit and into the dining room as a busboy then a server with the ultimate goal of getting behind the bar, but that had to wait until I was 21. My local coffee shop is Three Seat Espresso, on Ave A between St Marks and 9th St. I stop there at least once a day for a cappuccino, or iced coffee if it’s super hot outside. 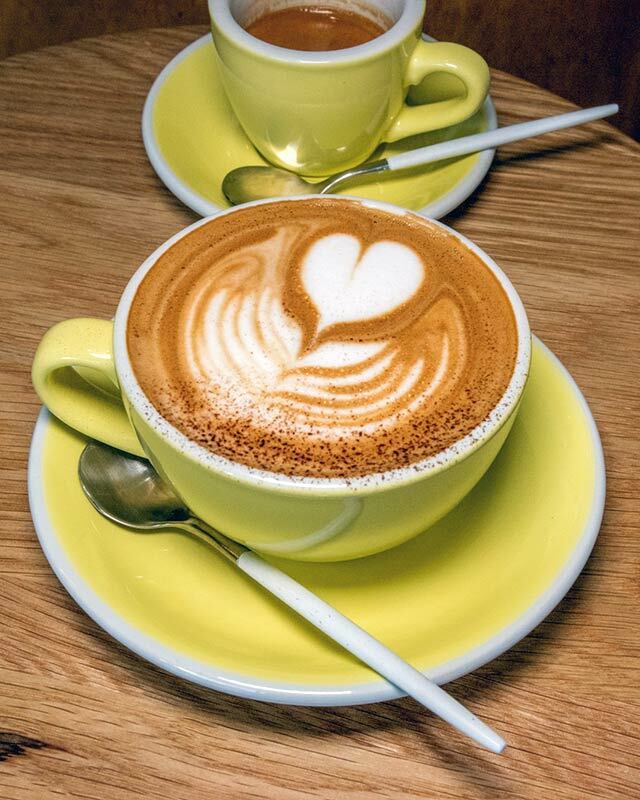 However, I typically start my day with a cappuccino at home. I don’t think these exist. The most comforting thing is probably massive amounts of sparkling water and delivery Chinese food. Rest and hydration are pretty much the only two things that seem to help these days. I don’t drink very much these days, but seem to get some sort of a hangover every time I have more than one beverage. Also, the Mezcal Mule at PDT is definitely a quick fix to suppress the hangover. I don’t drink very much these days, but seem to get some sort of a hangover every time I have more than one beverage. Also, the Mezcal Mule at PDT is definitely a quick fix to suppress the hangover. Favorite for Late Night eats after enjoying one a drink or 5? 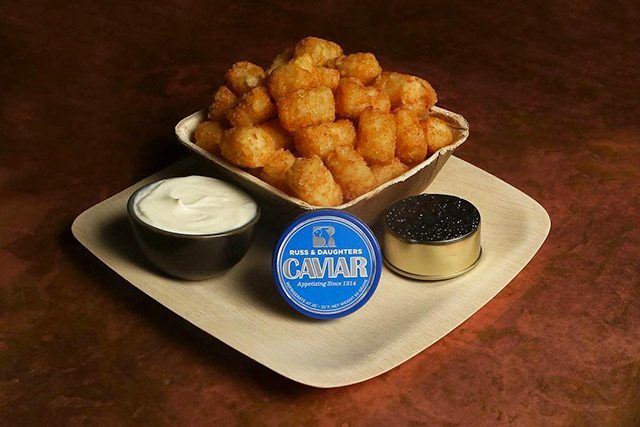 I hardly eat at Crif/PDT because I’ve worked here for 7+ years, but it’s hard to beat a Chang Dog and Caviar Tots after a few drinks. What’s your vacation no-f*cks given drink? What was your first boozy drink and when? My brother used to bartend at the W Hotel in Seattle back in the early 2000s and I used to drink dry Vodka Martinis. Over time, that switched to gin, and now it’s a 3:1 gin martini. Taking out-of-towners for cocktails for an “Only in NYC” experience? A Classic Dive Bar night? What are some tips to scoring a coveted seat at PDT? We do walk ins every night at the bar for parties of 3 or less. The wait time varies, but the hosts are pretty accurate with their quotes. Try coming by the bar to see what the wait is like, if it’s 60-90 mins, grab a bite at Empellon, Noodle Bar or Superiority Burger then come back and have drinks without really waiting. Or head to Bua and have a few beers in the meantime. 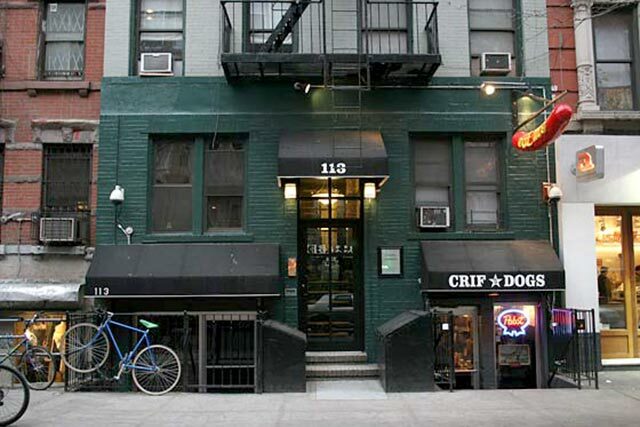 The East Village has a ton going on, it’s easy to find something do if quoted a wait. 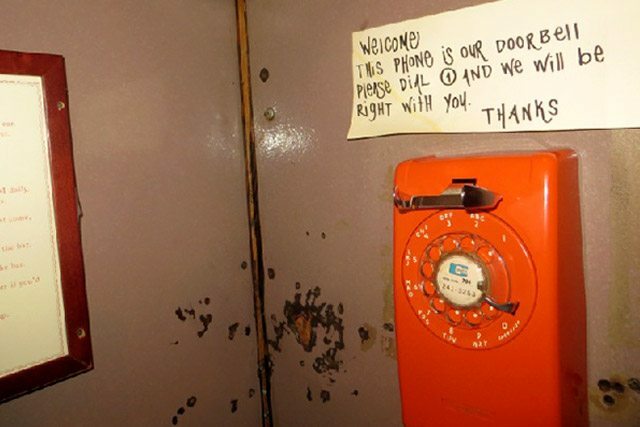 For table reservations, our host starts answering the phone promptly at 3 pm. There is one phone line and 6 tables and the tables turn roughly 4 times, so about 24 reservation slots distributed from 6pm-2am. If you want to book a table, start calling at 3 pm sharp, those slots fill up quickly. If your friends have time to assist, play the numbers game and try to get through. It’s not the best system in the world, but it seems to be the fairest. Our bar seats and table reservations are essentially both done on a first come first served basis. What’s the most popular cocktail on your menu right now? Auriela (Nossa, his fiancé and super cool baby mama), Krug Champagne. Who is the best drinking buddy for a wild night out? Special shout to any bars across the U.S. that you think are blowing minds with their beverage programs? Lost Lake in Chicago is one of my favorite bars on the planet. You travel a ton for work. What is your favorite city for cocktailing outside the US? You have one of the most beautiful, goals-worthy, families in the biz with your lovely lady, Auriela, and your daughter. Delilah. What’s your best advice for keeping the family unit tight & right with all the long hours and crazy travel? Family first. I’ve had to reduce the amount of travel that I’ve done in the past and I try to space my trips out to limit the strain on the family. If I’m away, it makes Auriela a single mom and puts a lot of extra added pressure on her and Delilah. I try to find ways to bring them with me on worth-while trips. Ultimately I look at every work trip and think if it’s beneficial for the family if I go, or is it not. If it’s not good for the family, then I don’t go. I try to find ways to bring them with me on worth-while trips. Ultimately I look at every work trip and think if it’s beneficial for the family if I go, or is it not. If it’s not good for the family, then I don’t go. What’s little Delilah’s favorite drink? What do you look for in a bartender when looking for someone for PDT? Personable and modest. I try to balance the staff with a lot of different personalities, but people that put themselves before the team don’t seem to fit in well here. Our staff hardly ever turns over, our current team had been here over 5 years each on average. I also don’t hire anyone directly into the bartender position. Our entry level roles are a host and bar back, then we promote from there to a split role of bartender/server. You have to know what you are getting yourself into. 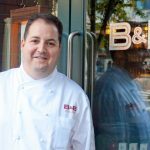 When I wanted to get behind the bar, it was because I wanted to SERVE people and provide experiences and I was ok with the idea that it wasn’t a well-respected job. 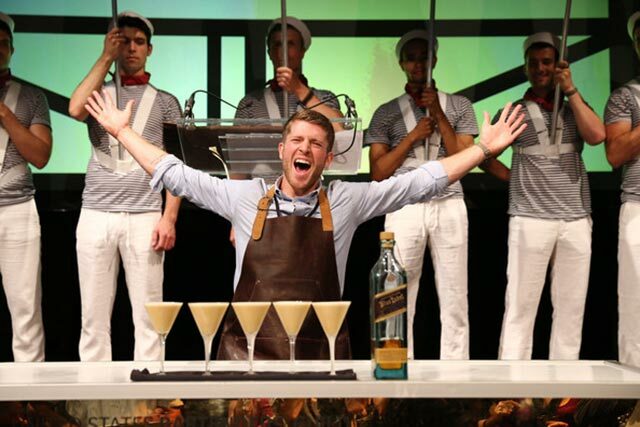 Now that bartenders are given a bit more attention and admiration the job attracts a more diverse group of people and some of those aren’t really aware of the long hours or how difficult of an industry hospitality is. If you want accolades, this probably isn’t the field for you. When you put the focus on yourself/your bar and not the guests you serve then you’ve missed the point of hospitality. What are you going to do with your Spirited Award plate? I’m not quite sure yet, it’s currently in my closet at home, it’ll probably stay there. Spill it …. shameless plug what are you working on right now that you are excited about? A lot, but I can’t tell you yet. Wait a month. Social Call – where can people keep up with your adventures on social media?